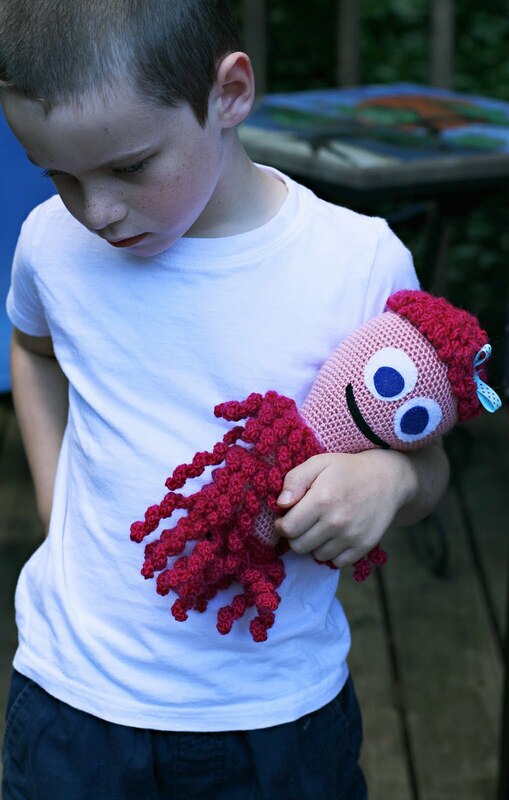 CocktailMom: Crochet Octopus or Squid? A very special friend of the family celebrated her 3rd birthday and I wanted to make her a "cuddly friend", as my youngest son calls them. When I begin making a cuddly friend some times I have a vision or an idea of what I want to create, other times I just start crocheting and let the yarn take shape. I knew when I began this project that I wanted to make something with a big head and big eyes. 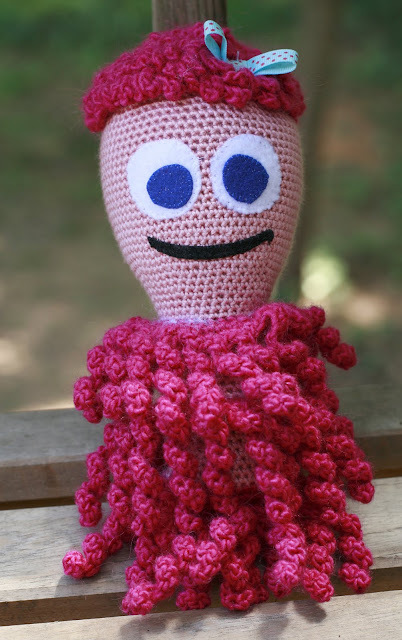 I grabbed yarn from my stash and began...and out came a pink octopus/squid? 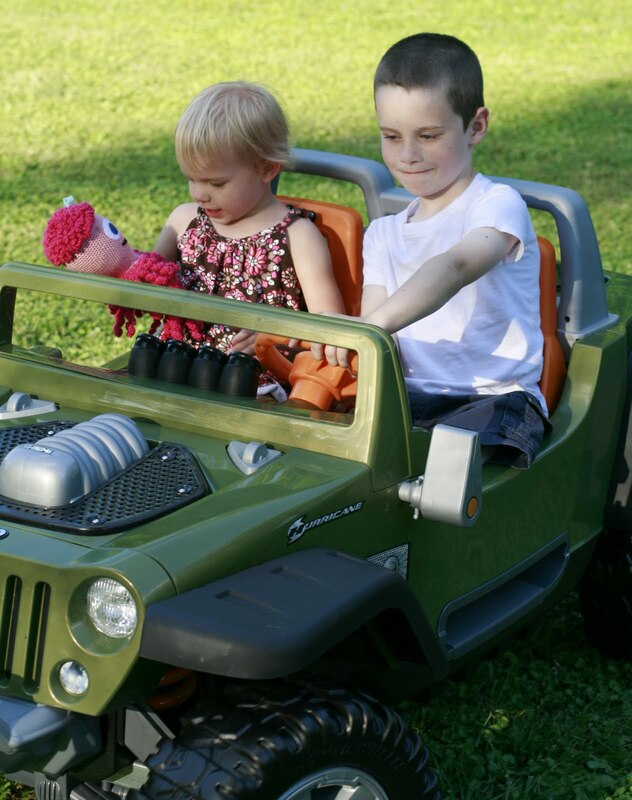 At first Zane wasn't too please with the idea giving the cuddly friend away but after Iris shared her brand new Jeep with him he was totally willing.